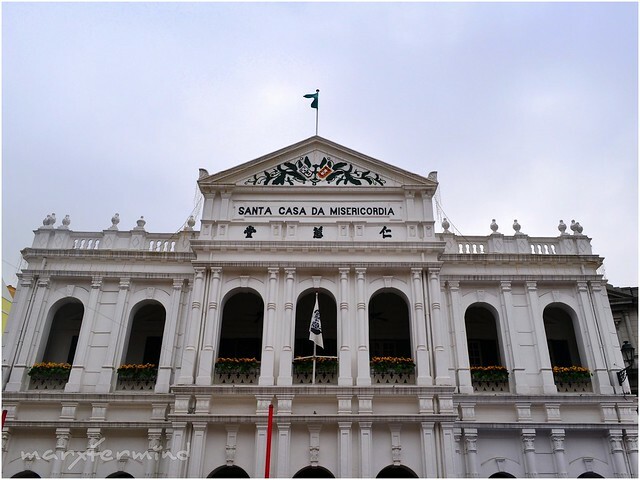 After we finished our hotel hopping in some of the elegant hotels of Macau we went to Senado Square (Largo do Senado). From Grand Lisboa we walked along Avenida d Infante D. Henrique. In approximately 10 minutes we were be able to reach the Senado Square. We went to the Macau Business Tourism Centre first to get a map of Macau. We walked inside the alleys to look for a place to eat but found nothing appealing so we just ended up having our lunch at McDonald’s. Afterwards, we continued our exploration of the place by walking inside the alleys. There were a lot of stores located in the square like milk tea stores (which I started to like), apparel stores and shops, and some stores that sells souvenirs and local goods. Of course, there are also hawkers selling the ever famous cookies and beef jerky. They have free samples to taste and I tried one but I didn’t like it though (or I’m not just in the mood to have some). There are signs visible in every corner of the streets. We just followed the signs going to the ruins and after minutes of walking we were able to reach the Ruins of St. Paul’s. Aside from the hotels, this is the one that made me excited to go to Macau. 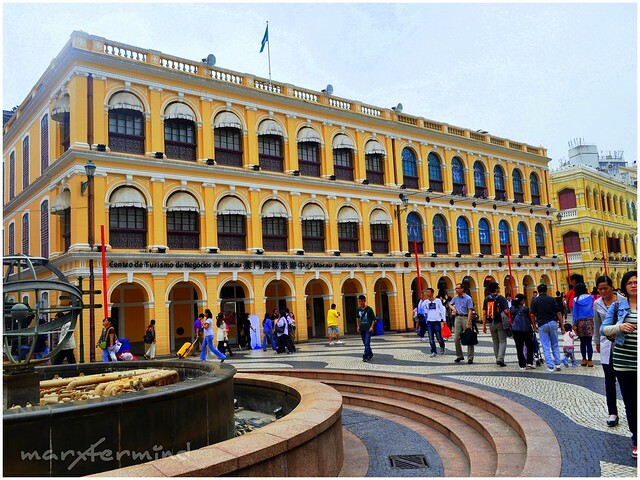 This one is one the most famous landmarks in Macau. I suppose a Macau get away will never be complete without getting here. And this what has been left from the 17th century Portuguese cathedral dedicated to Saint Paul the Apostle. Despite ruins are ruined structures, they still look aristocratic and refined. I like its stone facade which is really picturesque. Its historic setting was really good for some look book moments so me and my best did some photo ops. Despite of our tiredness, we were still able to pose for the camera. 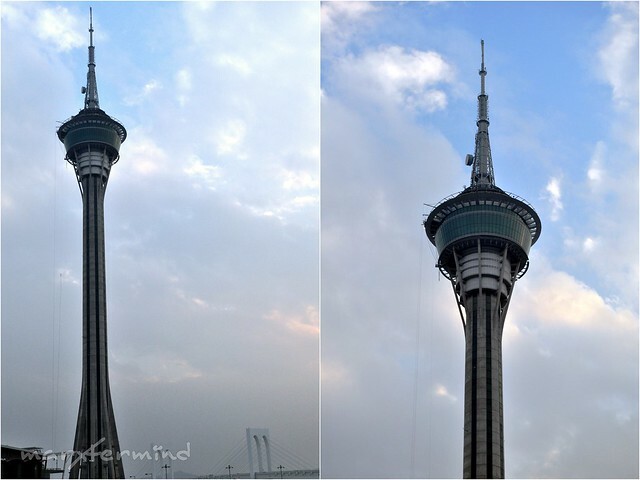 Then we moved on to our next destination, Macau Tower. 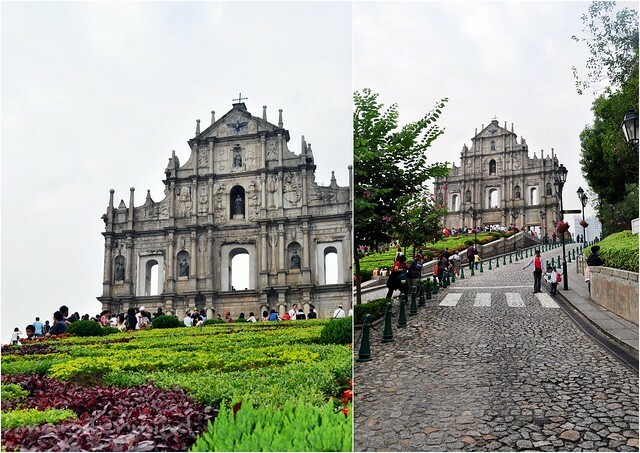 The tower offers the best panoramic view of Macau as it stands 338 m (1,109 ft) in height from ground level to the highest point. From Largo do Senado (Senado Square) we headed towards Avenida Do Infante Dom Henrique then turned right to Avenida de Praia Grandem then walk edstraight to Avenida Doutur Stanley Ho until we reached the Macau Tower Convention and Entertainment Center. It was a very long walk going to the tower. I was really tired. I already wanted to pause for awhile from walking and sit down but we needed to move on since it was already getting dark. It took us about 30 minutes until we reached the tower. I must say this one was more tiring than all the trekking I did in Sagada last month.The tower is an observation deck with panoramic views, restaurants, theaters, shopping malls and the Skywalk X, a thrilling walking tour around the outer rim. 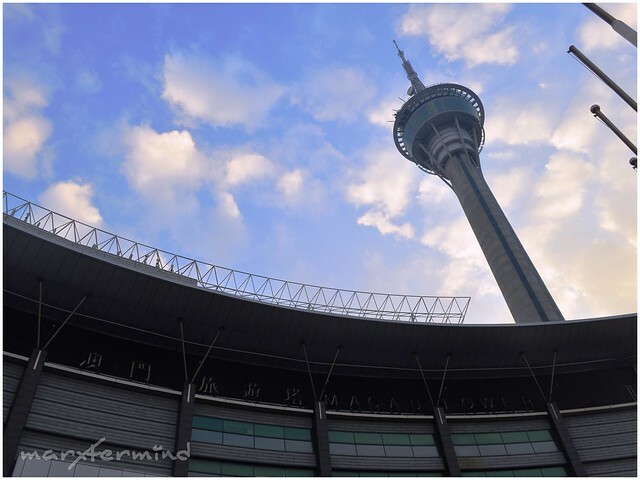 Here’s also where the thrilling sky jump and bungee jump is. There’s a fee to get to the observation deck. We’re on a tight budget so we just settled ourselves looking at the tower from the ground. With nothing much to explore in the place, we’ve decided to move to our next destination, Wynn Hotel for the shows. The hotel is a bit far from the tower and we don’t like to do some kilometers of walking again. We planned to take a public bus but decided to take the free shuttle bus of City of Dreams. The bus then took us to the City of Dreams and from there we took a bus going to MGM. Wynn Hotel is just a short walk from MGM, bright idea isn’t it. That’s what we got when we’re on a budget, use the free shuttle buses! Nothing beats walking when exploring a place. I know it’s tiring but the journey itself is rewarding. 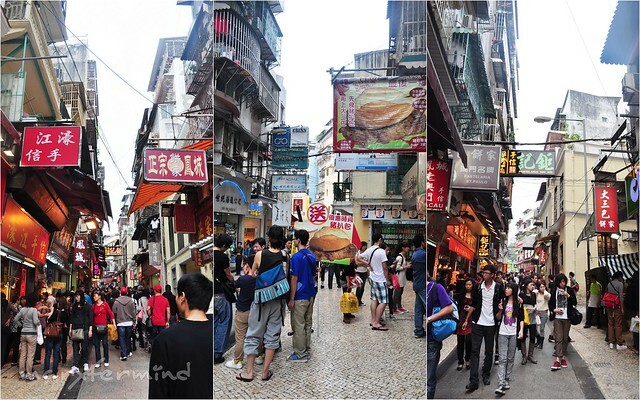 Our Macau on foot tour let us discovered and be amazed on people we’ve met and saw on the road. 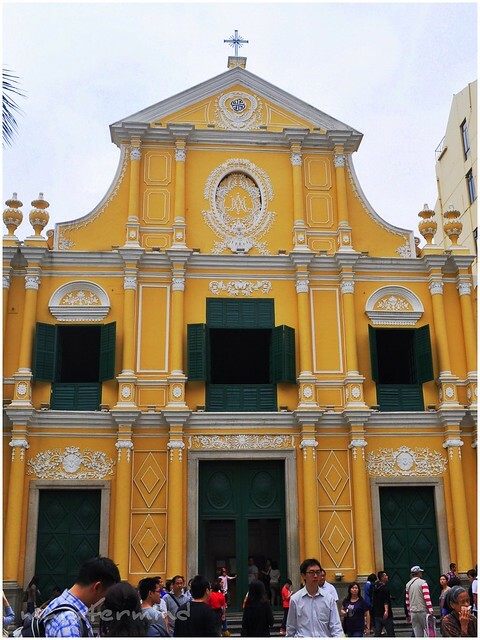 Visit the Macau Business Tourism Centre for further tourist spots and attractions directions and queries. They provide maps and brochures. 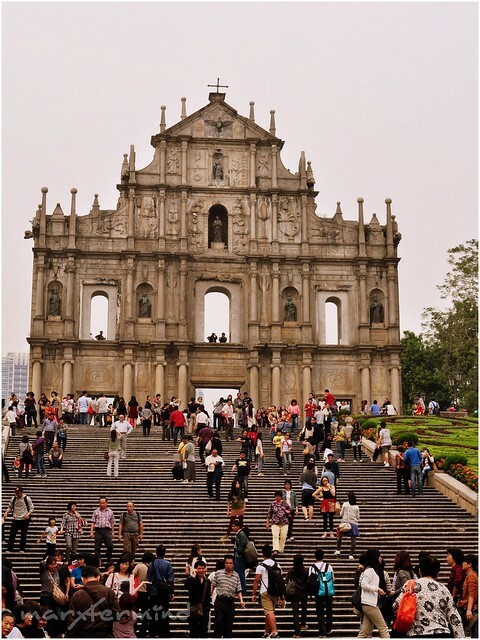 The Ruins of St.Paul has become the iconic landmark of Macau even in travel mags and calendars. 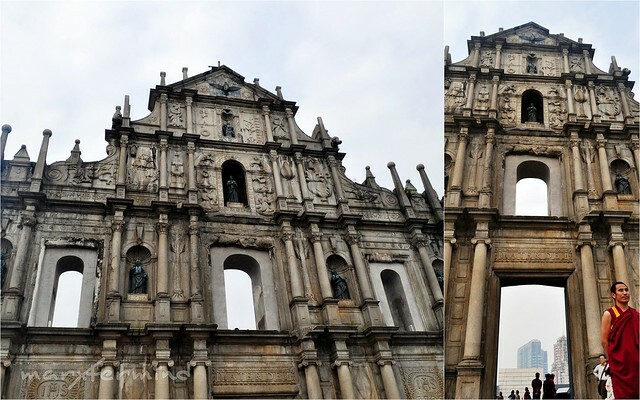 I agree Macau experience is not complete without visiting the ruin church. @Malditang "Kura"cha, nako wala akong pang bungee jump kahit gusto ko. Kung mag bungee jump ako parang tumalon ako kasama ang PHP10,000. Hahaha! wow naman! slamat sa free tour. hihih! kala ko magb-bungee ka rin. if ever meron sa Pinas, try natin ha. =) I love the ruins by the way. Kung buo siya, tapos maglalakad dun sa pathway ng naka traje de boda… ang bongga bongga lang. Nagtataka lang ako na parang sinadya na 1 side lang ang natira.